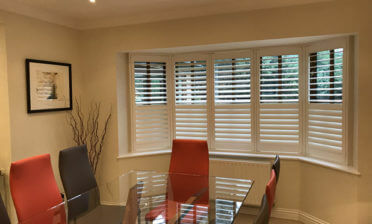 Kirk was in our local area of Kent to to fit some of our shutters for a customer in Biggin Hill. 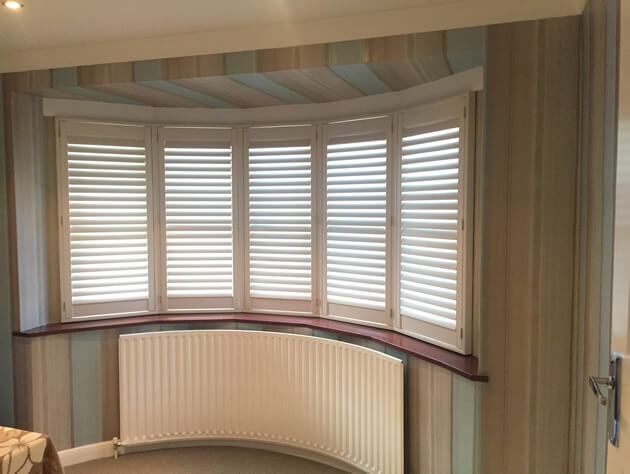 They were looking to have chic and stylish shutters fitted as a replacement for their curtains. 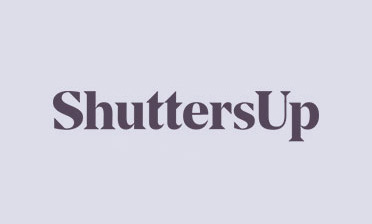 There are many advantages of shutters compared to curtains including far greater adjustment of light, better insulation and great looks to name just a few! They are also far easier to wipe clean, with curtains renowned for harbouring dust and allergens. These shutters were created from our Bali Range in full height style. Our Bali shutters are created using LDF and light weight ABS louvres. They are also highly durable and rigid for such a light weight product. The full height panels feature 64mm louvres with a hidden tilt rod system crying a minimal and uncluttered look. The homeowner is still able to adjust the shutters simply by touching one of the louvres which moves all the panels louvres in unison. We finished the shutters in Ivory Lace with brushed nickel plated hinges. They work great with the existing rooms decor and window making for a massive improvement over the curtains which were once in their place!